This is a backbencher for now, a 1901 Jones Spool based on Wheeler & Wilson D9. 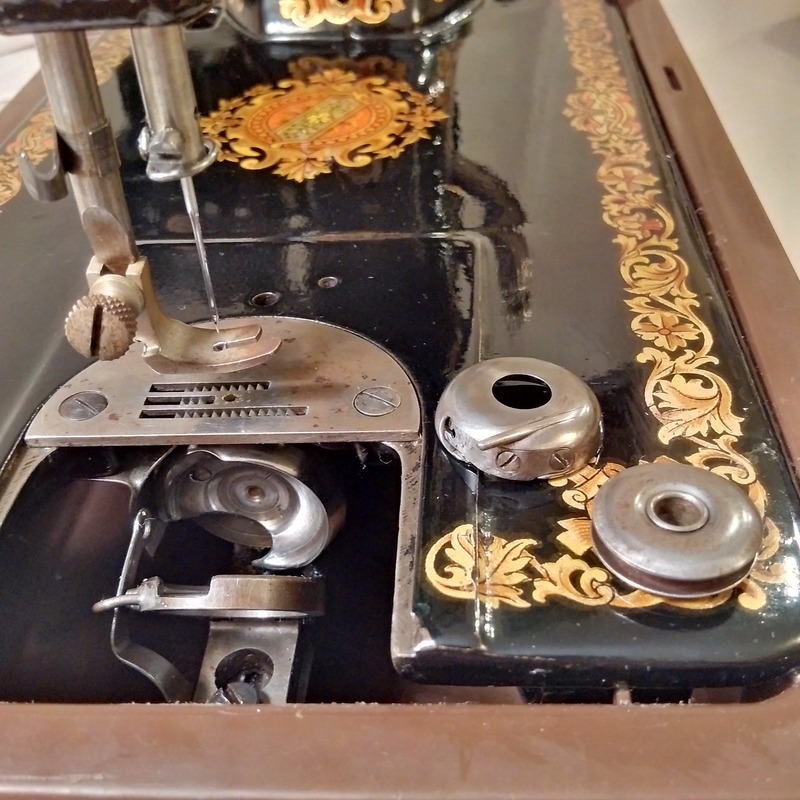 Rotary, straight stitch, with adjustable feed dog height, albeit not during sewing. No reverse yet. 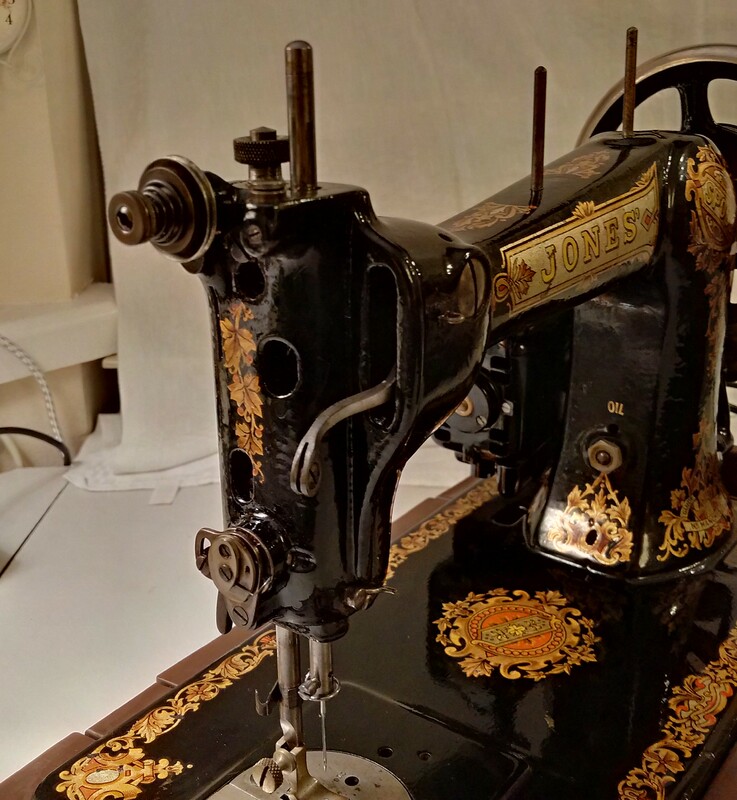 This machine has been taken out of its treadle, put into a case and given a motor. The foot fitting has been adjusted to modern low shank (see more on modern and antique low shank feet). 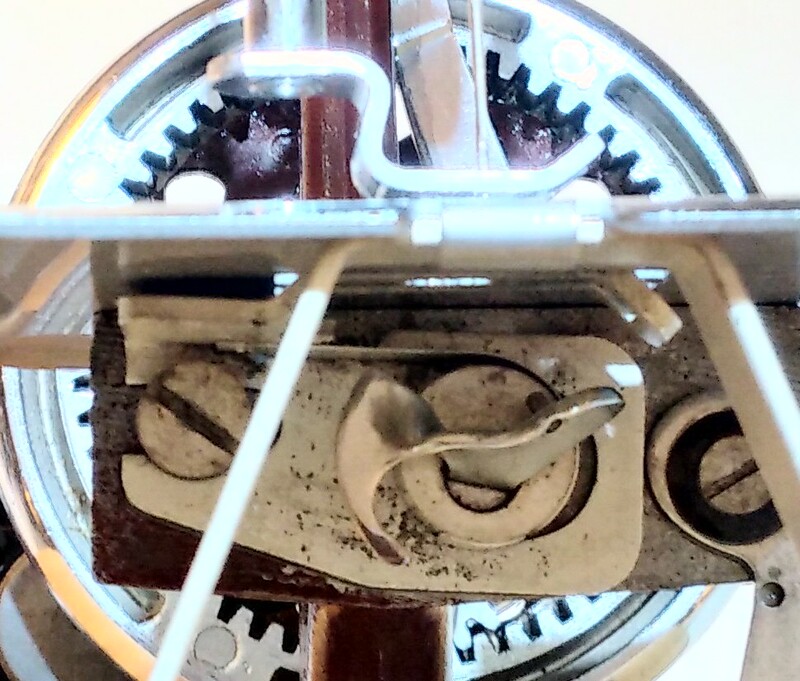 It takes Schmetz DBx1 industrial needles, but the bobbin is a challenge: 23x7mm rounded bobbin without a modern substitute (see more on Jones needles and bobbins). 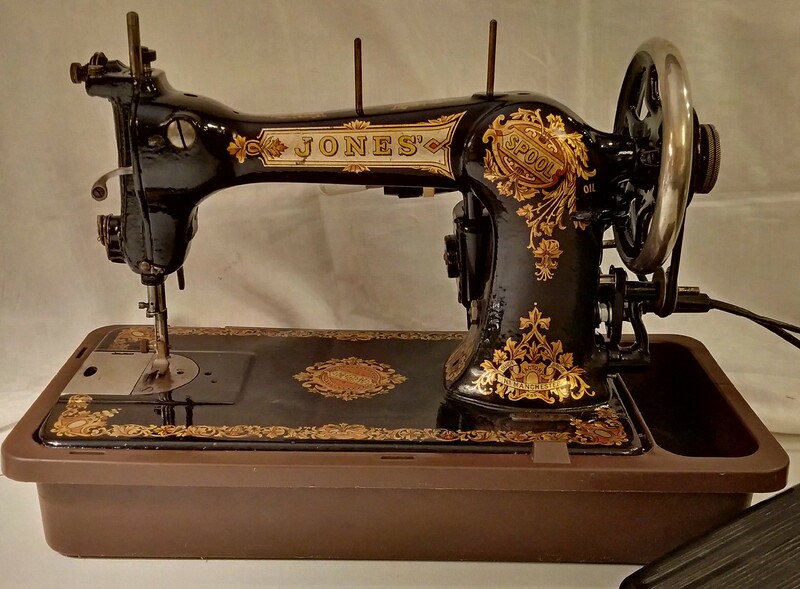 This machine does a lovely stitch and has a very good large harp space, but the difficulty of finding bobbins makes it less practical than it could be. I’ve been tinkering with it trying to find a substitute, but to no avail so far. The Spool has a complex three-stage upper tension mechanism which allows to use any kind of thread, from fine and slippery to rough and uneven. The tension remains constant as long as the thread passes through the needle without knotting up or choking on bumps. This actually really works and is better than the usual one-stop tension mechanism. It’s a shame not to have such a machine in active use! I was also hoping to mount a Willcox & Gibbs chain stitch propeller instead of the lockstitch hook. I can scavange one from an Essex or a Vulcan machine. But the lockstitch hook seems to be welded onto the axis, so cannot be just unscrewed. Or may be I haven’t found the screw yet. But anyway, the machine rotates in the opposite direction, so I’d need to reverse the feed dog movement too. Not needing a bobbin would really solve the problem of their rarity though! One thing that I shall need to find a solution to, is the noise. The Spool is noisy, although it is well oiled. The noise comes from the lower mechanism, and I think it is mainly the feed dog drive. This is similar to the noise in my Singer 66K and 98K which both have a similar feed dog drive. Of course, they didn’t have soft plastics back then, but we do now, so I’ll need to experiment with some dampening. Another thing is the lack of reverse feed. Reverse is achieved differently on different machines, so it needs to be investigated. However, if the Spool is turned into a chain stitcher, reverse is not needed. Clearly, some think-tinkering is required here.